It’s a welcoming sight and sets the scene for your Christmas decor style – the holiday wreath. While many people use wreaths of all types year-round to dress up the front door, the holiday season is prime time to display a festive one that reflects your decor style. The options are endless: From DIY kinds to plain pine-bough rings and over-the-top-glitzy versions, there’s truly something out there to fit anyone’s taste. We’ve rounded up some pretty ones that run the gamut of styles. A neutral palette is versatile and still festive. For those who aren’t fans of the traditional, ho-ho-ho red and green decor, today’s designs provide many more color combinations to choose from. Even those who prefer understated neutral palettes can find Christmas wreaths that are festive without glitz. This lovely wreath from RFD/Renaissance Floral Design of Albany, New York combines flocked stems combined with just a touch of pine and some green leaves. The focal arrangement features pine cones and natural materials, all embellished with a vintage style of ribbon printed with text. The overall look would work with so many decor styles, such as rustic, farmhouse, eclectic or contemporary. The best thing about wreaths that aren’t red and green is that they make appropriate decor throughout the winter season, far beyond the time when you pack away the traditionally colored decorations. Unexpected materials make for interesting wreaths. 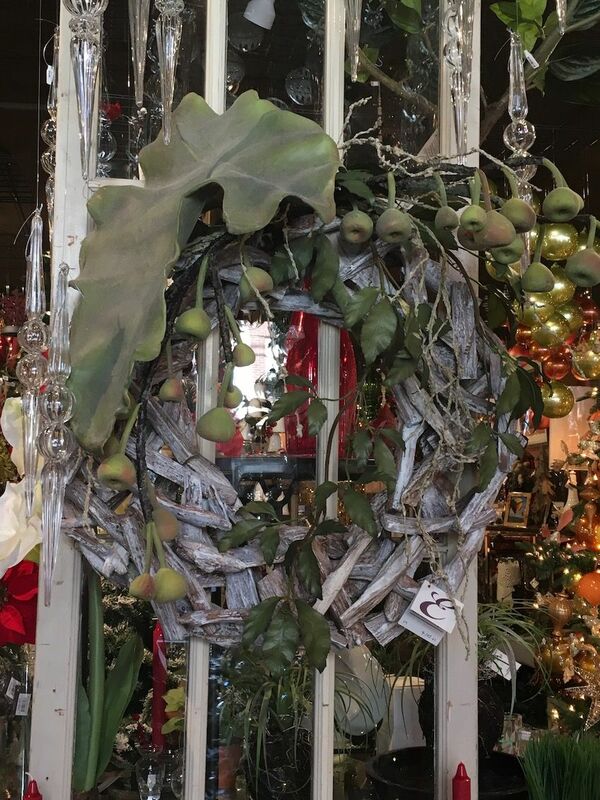 While this wreath could be used at any time of year, it’s also ideal for people who want to maintain a natural looking decor. The driftwood pieces are also great for conveying a beachy theme without using the light, bright colors of summer that are typically associated with the beach. This is also more fitting for beach settings that are not warm all year round. Unexpected types of greenery make this even more unusual. For those who like the look but think it’s not Christmassy enough, the addition of a bow with a hint of sparkle could amp up the holiday factor. This one is from Experience & Creative Design in Schenectady, NY. Combining traditional greenery with an unusual type of plant creates a distinctive wreath. 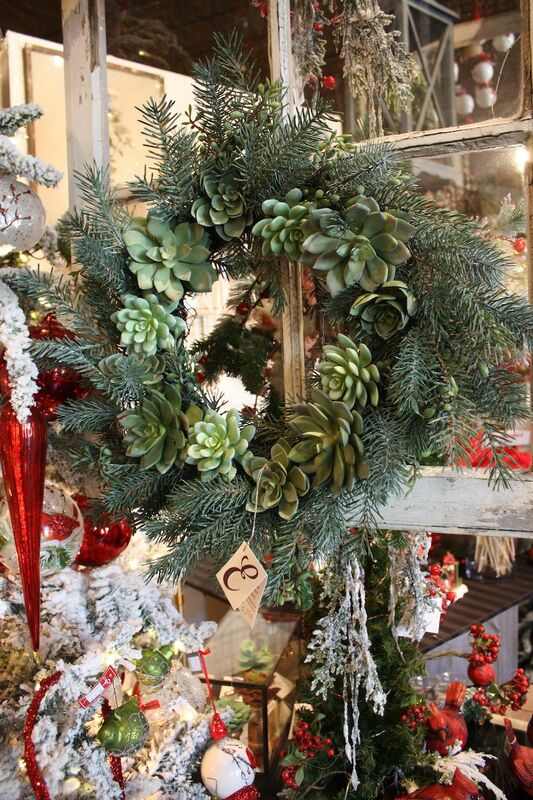 Succulents are still trending and fans can feature them in a holiday wreath as well. A totally natural and green style, this wreath is devoid of glitz and sparkle but is still festive in an understated way. Styles like this can also go well with modern or minimalist homes that are clean-lined and sleek. The pine boughs and succulents around the center add a big dose of green that stands out in the colder, tree-bare season. Lovers of metallics can go big with glitz during the holiday season. For many people, it’s not Christmas without plenty of silver and gold. For those people who prefer loads of metallics, a holiday wreath like this one is just the ticket. A profusion of sparkly branches forms the base that is embellished with copper-colored balls of different sizes. Made up of several kinds of metallic ribbon, the huge bow adds to the opulent feeling of this wreath. In fact, the bushy branches and larger bow make this a very large and dominant wreath that will sparkle throughout the holiday season. Holiday time is good for using a color outside your normal decor palette. Another way to add glitz and glam is to choose a color scheme for a wreath and then add ornaments and other elements that carry through the chosen hue. Millennial pink might be fading as a trend but there are still plenty of those who love it. Moreover, the holidays are a great time to use an unexpected color or one that wouldn’t fit in the rest of the year. 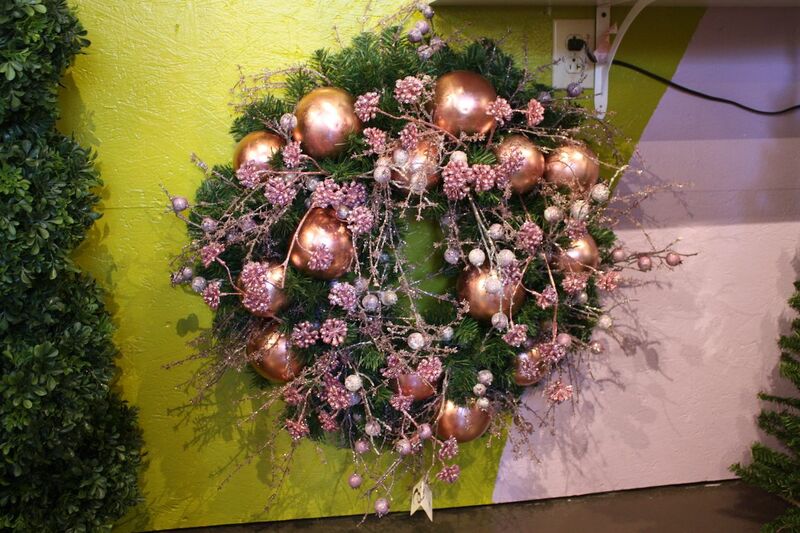 The holidays are a time to have fun, so try something new with a wreath like this one, that has shiny, soft pink balls and stems with balls and berries in a complementary color. Natural styles are very popular and can be used throughout winter. Au naturel styles are great for those would rather skip the glitz and metallics of flashier holiday decor. 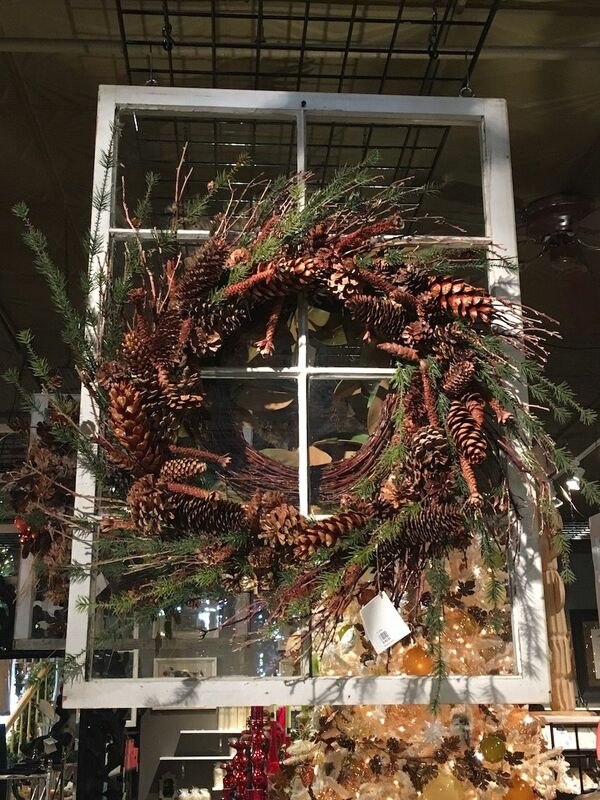 Ideal for farmhouse, traditional or rustic home, a wreath made of branches and greens, loaded with pine cones of various styles stands out for its natural beauty. 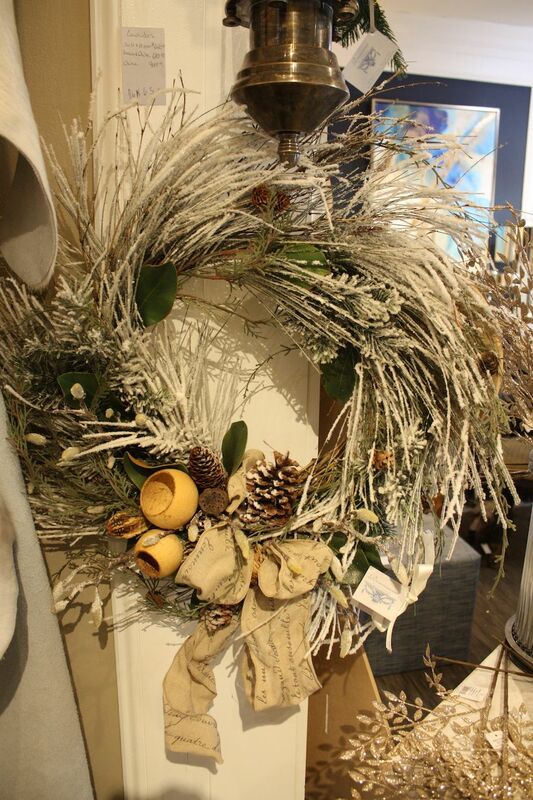 This is another style of holiday wreath that has a lifespan that extends far past the start of the new year. Want to jazz it up a bit for the season? Try adding a simple bow made of a natural, homespun style of ribbon. Try a wreath that works for Thanksgiving as well as Christmas. Those who love natural-looking wreaths but still prefer a bit of glitz for the holidays can still have it both ways with an option like this. A bountiful ring of straw, branches, leaves and pinecones is glitzed up with a smattering of glass balls that have just enough shine. 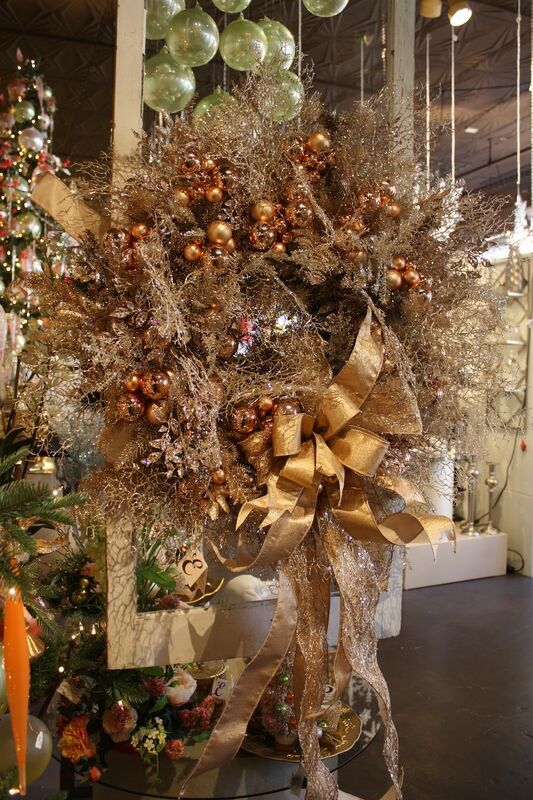 This style could easily be hung before Thanksgiving and still carry the festive feeling through December. 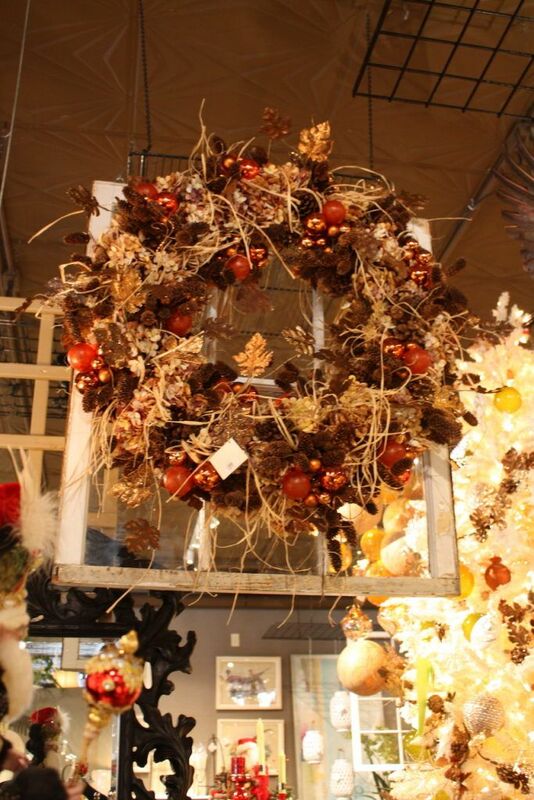 Traditional wreaths are an easy and appropriate choice for any home. 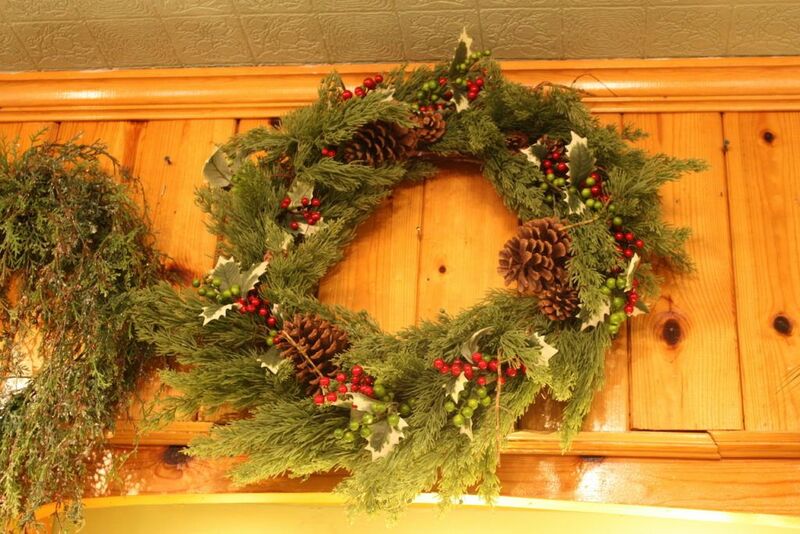 Die-hard traditionalists will almost always want the iconic wreath of greens with touches of red. This ubiquitous style is popular for good reason. One look and it immediately stirs up the holiday spirit. These types of wreaths are also popular for adorning more than just the front door Traditional homes often use this type of holiday wreath on entry posts, fences or house windows to create a bigger impact. It’s also the style of wreath that works best with a natural garlands of greenery. 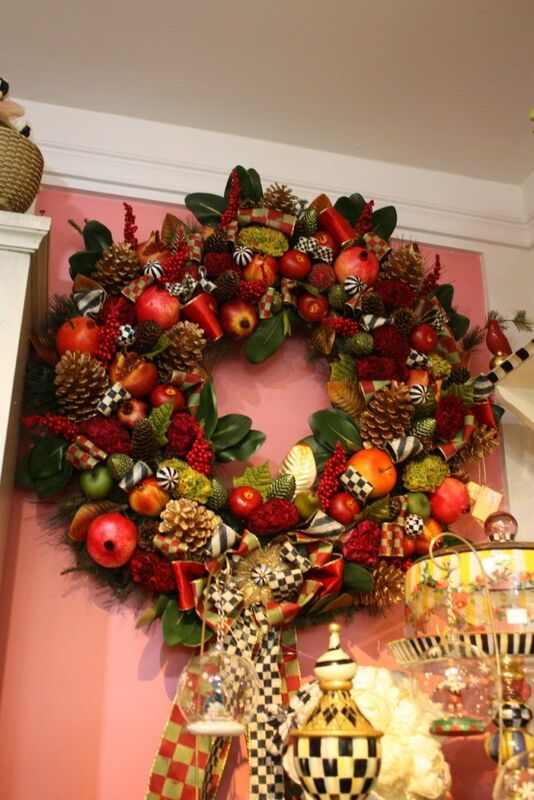 Try using a big and bountiful wreath indoors. We would be remiss for not mentioning that wreaths are great decor options for than just the front door. Ideal for inside or out, they can be used as a table centerpiece, to highlight a window indoors, be hung above a doorway or mantel — just about anywhere. A holiday wreath like this one is perfect for indoors, with its mass of seasonal fruit decorations mixed with green leaves and a hint of pine greenery. Tiny black and white accent balls really pop. The ribbon winding through it is the trademark check of McKenzie Childs, a brand known for its handcrafted artisanry. 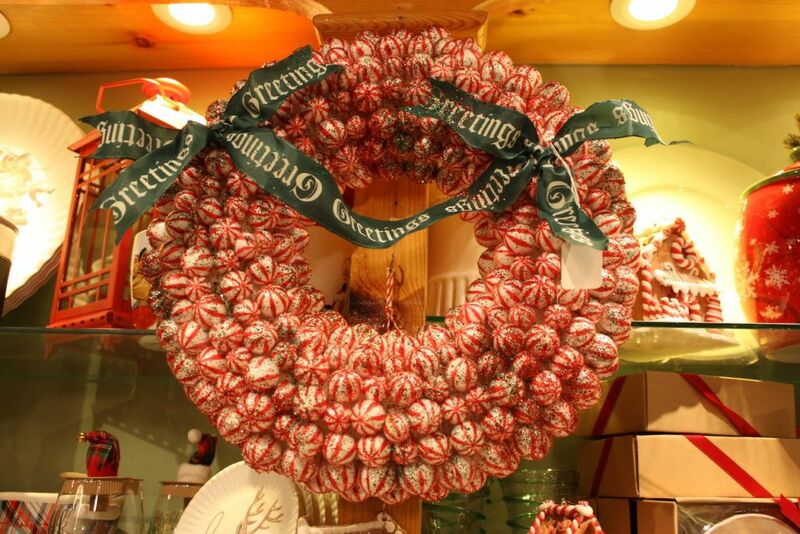 Children and adults alike will love a wreath made of candy-cane striped balls. This large and sparkly wreath embraces the red and white of the season in a happy ring of candy-cane striped balls. Dusted with green glitter, this is every sweet-lover’s dream and something that will enchant the children. The green ribbon printed with a holiday greetings make it the quintessential color combination decor piece. While it’s not edible, this holiday wreath will have people pining away for a candy cane of their own to enjoy. So many great wreath options exist for adding a festive touch to the home that it’s hard to pull just a few. These wreath styles can inspire a shopping trip or a DIY project to make the entry door a grand entrance to a holiday home that is warm and inviting. The post 10 Styles of Christmas Wreaths to Dress Up The Front Door appeared first on Home Decorating Trends – Homedit.